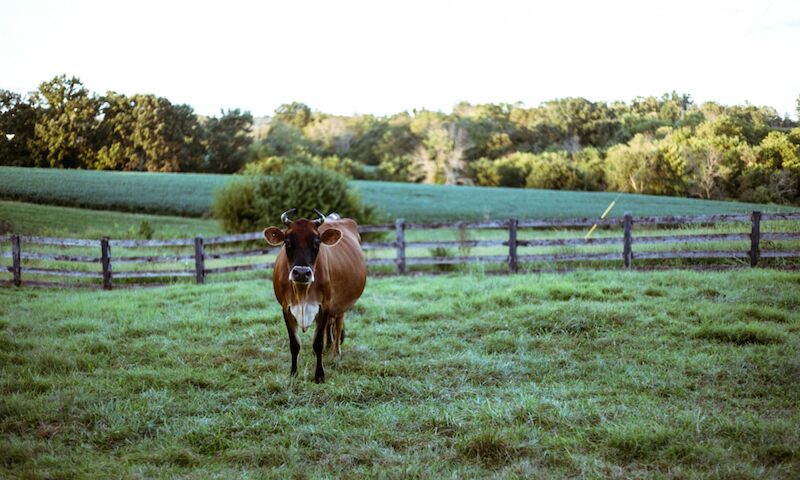 We have three beautiful jersey cows, Baker, Hershey and Clementine. We were so lucky to find our original two girls, lovingly raised as family cows by 14 children, only a few weeks after we moved in. Clementine found her way here from a family relocating to the area who reached out so she could be close by. Although now a rarity, most homestead farms used to have their own dairy cow who would provide all (and often more!) than was needed for the family. Seeking a similar self-reliance and home-made fertility, it didn’t take long for us to see the enormous benefits of these amazing ruminants. And they are oh, so generous in their butterfat-rich milk production. Our raw milk dairy is offered through a herd-share program. In short, you own part of our herd and are thus entitled to her milk. Each household must purchase a share for each weekly gallon desired in order to drink fresh milk in Kentucky. We have milk testing equipment on the farm to ensure the health and safety of the milk. How do I buy milk? Currently most of our milk is reserved for our Full Diet CSA customers. We occasionally have space available for someone interested in on-farm pickup. Purchase a cow share for a one time fee of $30.00. You must sign a bill of sale and contract. You now have the option to obtain one gallon of milk each week for each share you own and can order milk (and sometimes cream) directly through us for $12/gallon. Our cows will be in milk production for roughly 9 months out of the year. We appreciate a standing weekly order for milk. Your order fee pays for the care, maintenance and the milking of your cow. You may pick up at the farm or receive milk through our Full Diet CSA. All milk comes in half-gallon glass jars that must be washed and returned each week. Unreturned jars and lids incur a $5 charge after 2 weeks. Can I receive milk year-round? We are a seasonal dairy, which means we let both of our cows rest before giving birth. During this 2-3 month rest (or “dry”) period, we do not milk the cows so their bodies can focus solely on a healthy baby calf. What if I am out of town? Just let us know! We try hard to maintain some flexibility for our customers and appreciate the communication. Ready to sign up? Fill out our quick form and we will be in touch! Feel free to contact us with any questions.